A Chicago jury has found white police officer Jason Van Dyke guilty of second-degree murder and 16 counts of aggravated battery with a firearm in the shooting death of black teenager Laquan McDonald. "It’s the first time in half a century that a Chicago police officer has been convicted of murder for an on-duty death," AP reports. The verdict was delivered just after 3:00pm Eastern time on Friday. Tweets from journalists, below, as the verdict was read from the Chicago courtroom. #BREAKING #VanDykeTrial Jury finds Chicago police officer Jason Van Dyke GUILTY of second degree murder, and aggravated battery with firearm for all 16 shots. 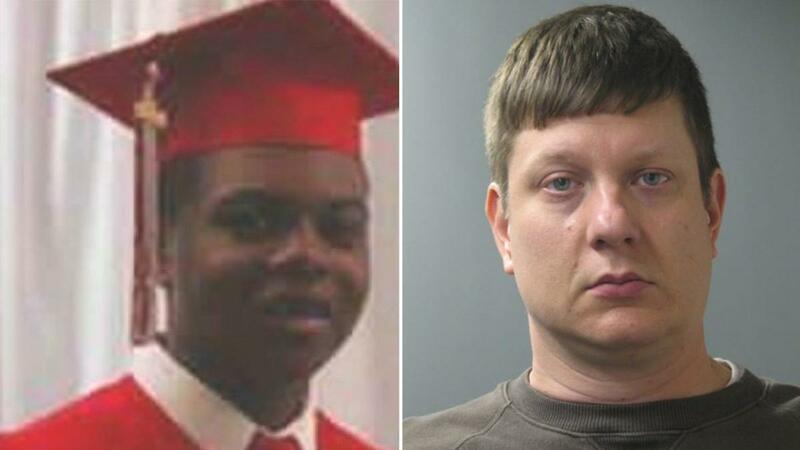 Jason Van Dyke faces 19 counts in the fatal shooting of #LaquanMcDonald. Daniel Herbert, lead defense attorney, ordered to remain in the courthouse until jury is finished. Asks to go to car. Judge says “you have to come right back.” After judge leaves, Herbert was seen explicitly mouthing his displeasure with the decision. Today’s verdict in the #LaquanMcDonald shooting is remarkable. Convictions of police officers in shootings of unarmed black people are extremely rare. After numerous exonerations, two officers convicted in the span of two months: Van Dyke and Oliver in Dallas in August.